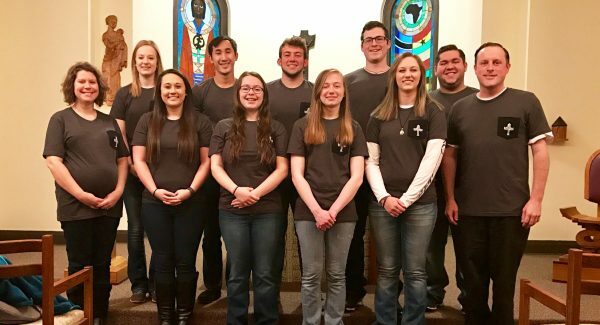 Adding a retreat component to an annual winter service trip was something new for Campus Ministry at Newman University. 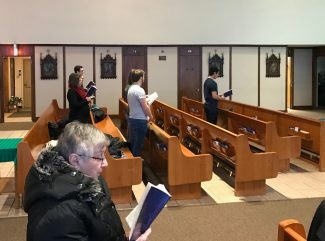 Newman Chaplain and Director of Campus Ministry Father John Fogliasso and Campus Ministry Administrative Assistant Monica Borger accompanied nine students on the trip, which took place Sunday, Jan. 8 through Saturday, Jan. 14. Each year, Campus Ministry gathers a group of students to travel somewhere outside of Wichita for the purpose of serving others in need. And each year, one student is chosen to plan the trip for the group, gaining essential skills such as leadership, organization, communication and creativity. 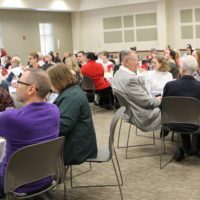 During the retreat, time was scheduled for personal reflection and prayer, which “was a really great start to the new semester,” Borger said. When the retreat was over, the group went right to work serving. 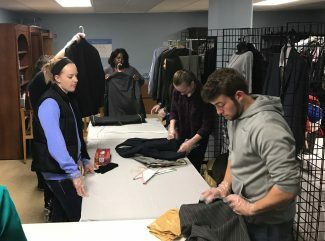 They did a half-day service at Catholic Charities on Wednesday afternoon, working in the administrative building sorting clothes for the emergency shelter and bagging food that would be handed out later. 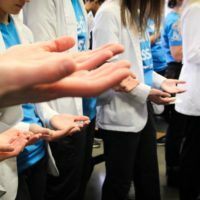 On Thursday, students helped the charity with their “Senior Food and Nutrition Program,” organizing and assembling grocery packages that would be delivered to impoverished seniors in the area. Borger was impressed by how well everyone worked together for a greater cause and enjoyed meeting some of the individuals who benefited from the services they were helping with. Friday was a day for fun as the group took a Chicago tour bus around the city, enabling them to come and go as they pleased at sightseeing landmarks. Newman student Brigette Sponsel said the trip was one to remember. “The trip gave me the opportunity to further understand people in all situations, helping me by opening my eyes to the world of other people,” she said.